Save 1% on the Heart Shape Watermelon Mold by Fruit Shaper at Black Ant King Plus. MPN: FS02. Hurry! Limited time offer. Offer valid only while supplies last. This is a Heart Shaped Watermelon Mold used for shaping a standard watermelon that you can grown in your personal garden (No special seeds required). 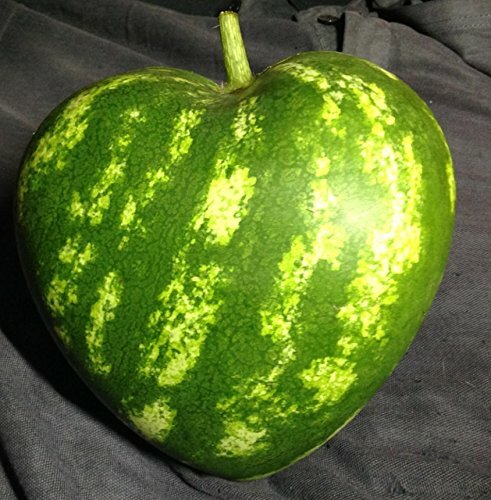 This is a Heart Shaped Watermelon Mold used for shaping a standard watermelon that you can grown in your personal garden (No special seeds required). Information about the mold itself: This mold is constructed out of Polycarbonate plastic. This type of plastic material is fully transparent and non-toxic to humans or to nature. It has the high tensil strength needed to contain the watermelon as it is growing. Included with the mold are all the nuts and bolts needed to properly seal the mold. All parts are designed for outdoor use and will last many growing seasons to ensure you get the most out of your mold. The actual size of the melon your mold will produce is 6.5" at its tallest point and 6.5" at its widest. It is 5.5" at its deepest point. Type of watermelon to grow: This mold is designed to grow a watermelon that weighs around 5-9lbs. If a different type of seed is used then there is a higher chance of failure. We suggest using these types of watermelon seeds: Triploid-Hybrid Verity: Tri-X Brand 313 Seedless, Crimson Trio, Queen of Hearts, Millionaire, 5244. Seedless watermelon that grows 5-9lbs depending on the area. Icebox Verity: Sugar Baby, Tiger Baby. This type has seeds and grows between 5-9 lbs. Yellow/Orange Flesh Variety Desert King, Tendergold, Honeyheart (seedless), Chiffon (seedless). This type comes in seedless and seeded depending. It grows 5-9lbs. If you have any questions about this product by Fruit Shaper, contact us by completing and submitting the form below. If you are looking for a specif part number, please include it with your message.